Rocky Wirtz, Chairman of the National Hockey League’s Chicago Blackhawks, visited their hangar July 29. He brought something with him that “[he]thinks belongs to some guy named ‘Stanley. '” Thunderbird 12. (Air Force Thunderbirds photo via Instagram). 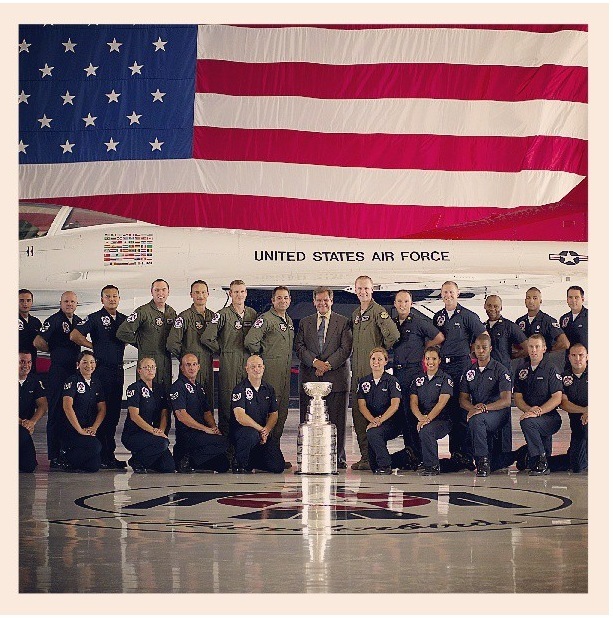 Check out more photos from the Thunderbirds on their Instagram feed here.